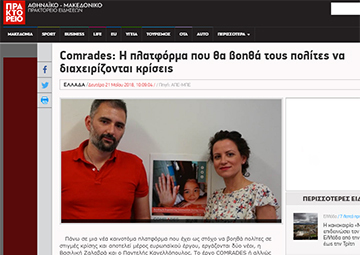 The press & media in Greece really embraced the COMRADES project! 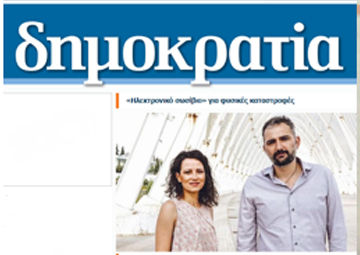 A second interview about our project was given this time to the newspaper “Dimokratia” (Δημοκρατία) by Vasso Zalavra and Pantelis Kanellopoulos, Gov2u partners, responsible for the communication of the project and its results. The COMRADES partners from Gov2u, Vassiliki Zalavra and Pantelis Kanellopoulos who are responsible for the communication of the project and its results gave an interesting interview to the Athens News Agency - Macedonian Press Agency (ANA-MPA) where they explained how the COMRADES platform can help citizens to manage and overcome crises. 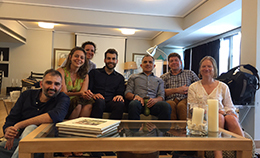 The consortium got together for its planned face-to-face meeting in Athens from the 8th to 10th of May 2018. During the meeting the project partners discussed about the progress made so far, the latest technical developments of the COMRADES platform and the upcoming release of the demo’s first version.